The world of games now revolves mostly around games consoles and television screens. Of course, games have existed long before modern technology, and sure to appeal to games enthusiasts of all ages, an incredible lot featuring games of a more traditional form is due to go under the hammer this month at McTear’s. Lot 936 in the Furniture, Works of Art, Medals and Militaria auction is a beautiful Victorian games compendium, namely ‘The Royal Cabinet of Games’. 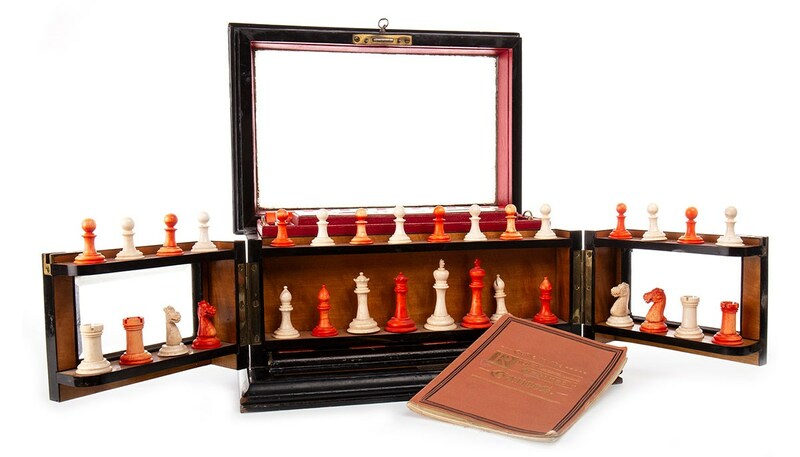 The extensive compendium contains a number of games including chess, draughts, dominoes and backgammon, encompassing some fetching white and red stained bone chessmen, dice, draftsmen, and even complete with six horses with jockeys and two fences. This comprehensive set comes along with a useful guide, all contained in a handsome glazed coromandel case. With an auction estimate of £300–400, there’s sure to be competition when this goes under the hammer on Friday.